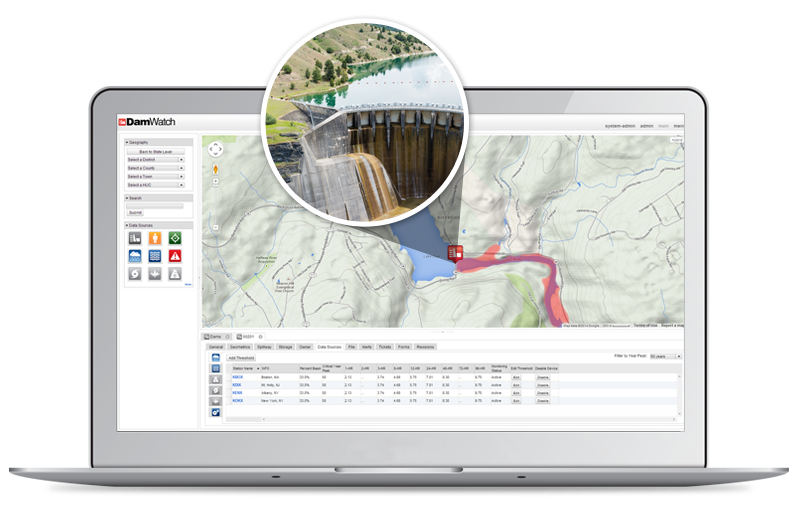 Software that monitors bridge, dam, levee, and other critical infrastructure in real-time to allow for efficient management of targeted human and financial resources. 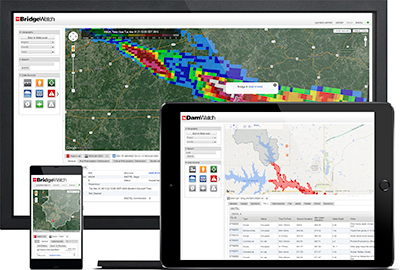 FloodWatch® is a web-based monitoring software solution that enables emergency managers and infrastructure owners to proactively monitor, assess, and respond to flood related disasters and the associated hazards in real-time. IRIS® (Intelligent Response Information System) is a comprehensive web-based monitoring software solution that empowers critical infrastructure owners and emergency management officials to predict, identify, prepare for, manage, and record potentially destructive environmental events. IRIS® harnesses all of the functionality and data connectivity of USES’ full suite of software solutions to allow for monitoring all infrastructure and assets in a given geographic location. USEngineering Solutions’ (USES) products and services centralize and organize all of your data while continuously updating information from data sources in the field and the environment. Securely access your data and infrastructure 24/7 anywhere in the world from any web-enabled device. 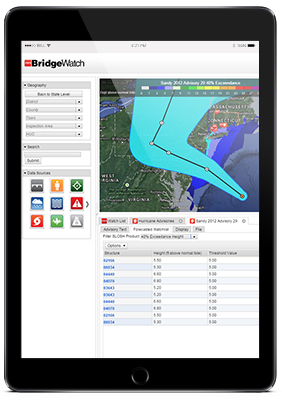 USES’ products BridgeWatch®, DamWatch®, FloodWatch®, WaterWatch™, and IRIS® are all designed to be accessed securely from any web-enabled tablet, smart phone, laptop, or computer. Whether you are in the field or the office you will have access to all of your data to make decisions in real time. USES’ software solutions collect and process real-time data 24/7 at regular intervals from weather and hydrologic sources, meters and gauges, and other sensing devices. Data comparisons are then performed with internal databases to alert, when appropriate, essential personnel when there is a dangerous or critical event. All dam, bridge, levee, and other critical infrastructure data is stored within a central database and can be accessed and updated in real time. 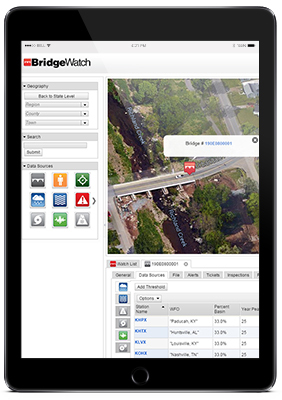 USES’ software solutions incorporate ticketing, maintenance, and tracking systems that allow users to document and assess bridge/dam/levee conditions over time. 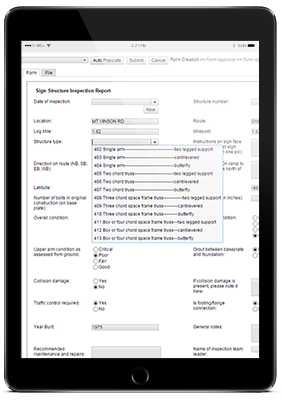 Through the use of tickets, users are able to document general structure information and add inspection notes, maintenance tasks, monitoring reports, and closure details. 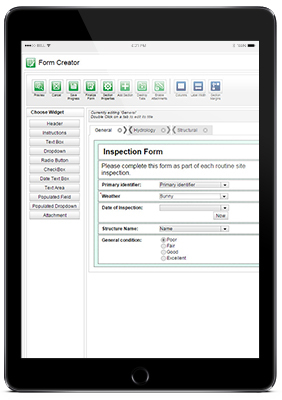 Constrained by software systems that tell you what your forms need to look like? Have you already developed your own form inventory? USES’ solutions incorporate functionality to allow users to customize and adjust their own forms or make new ones and complete them via any web- enabled device. USES’ software solutions gather and process data from a wide range of sources: meteorological, hydrologic, and seismological sources, infrastructure management/measurement devices, smart sensors, and other software systems. 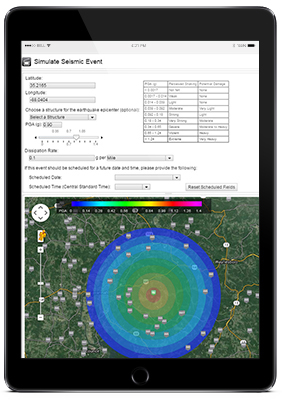 Leveraging the ultimate data source – people – USES’ software solutions incorporate simulation technology so internal training and inter-agency emergency management drills can be conducted to test the effectiveness of Plans of Action (POAs), Emergency Action Plans (EAPs), and Emergency Operation Plans (EOPs). We Live In A Data Driven World.